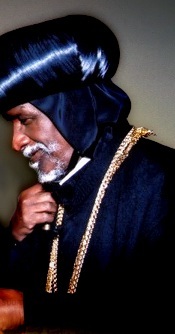 The priests, deacons and religious faithful of the Eritrean Orthodox Tewahdo Church across the world are asking for prayer and support in calling for humane treatment and appropriate respect for His Holiness, Patriarch Antonios, the illegally deposed Patriarch of the Eritrean Church. Abune Antonios, widely regarded as the rightful occupant of the Episcopal throne of the Eritrean Orthodox Tewahdo Church, has been detained in an undisclosed location within the general confines of Asmara for approximately 7 years. His detention restricts Abune Antonios from exercising his spiritual leadership over what has become a widely dispersed church with members in many countries outside Eritrea who still look to him for spiritual guidance and reassurance.